In addition to the new iPhone and iPad Pro, many Apple fans are waiting for the updated MacBook. His presentation will be “soon”, says DigiTimes. At the end of August 2018, Intel introduced processors Whiskey Lake. In parallel with this announcement, at IFA 2018, many manufacturers have released compact and slim laptops that run on the latest Intel chipsets. Soon such device will release, and Apple. 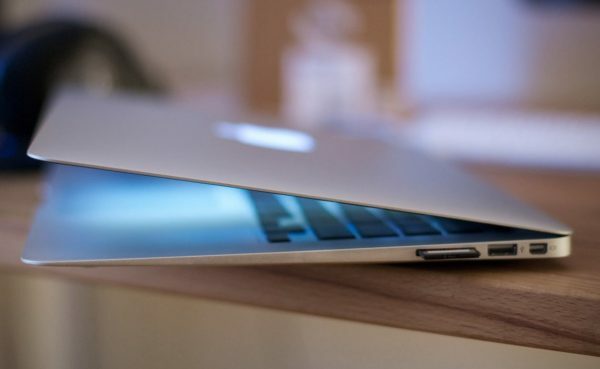 “Apple will also unveil its new ultra-thin MacBook,” reported DigiTimes. It is still unknown what kind of laptop it is. That description gets a 12-inch MacBook, but according to rumors, Apple in 2018 will release a new MacBook Air. Both devices are very thin, but MacBook Air has been a pioneer in this field. In addition, MacBook and MacBook Air can get an Intel Whiskey Lake. On September 12 Apple will release iPhone and iPad Pro XS. It is likely that the same event will be the presentation of a new laptop. Follow the news of the Apple in our Telegram channel in the app on iOS MacDigger.